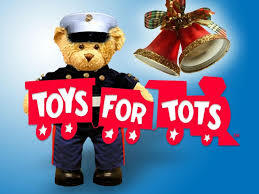 St. Vincent DePaul Society(SVDP) is joining with the Marine Corps Reserve's TOYS For TOTS Christmas Campaign in order to better serve our community. Your participation is just as it has been in recent years. To assist you, we have placed baskets with gift tags at each Church entrance. We ask that you take as many tags as you would like and purchase a gift appropriate for the age indicated on the tag. Please return the gifts to the boxes at each worship site UNWRAPPED by Sunday, December 9th. Your generosity will help make the beautiful holiday season even brighter for those less fortunate. Every Saturday before the 4PM at 3:25PM in the Worship Center. ​A Vesper service will be held each Saturday evening during Advent prior to the 4 PM Liturgy. The service will be at 3:25 PM and should last about 15-20 minutes. You are invited to come and pray the Evening Hour of Vespers with the Holy Angels community and the universal Church. If you come to the 4 PM liturgy, please plan to come a little bit earlier and experience this prayer of the Church. 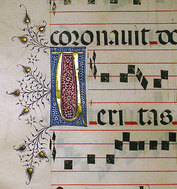 Vespers is one of the “Hours”, the evening prayer of the Church, that are prayed daily. “The Hours” are prayed by the Ordained ministers, (priests and deacons) as well as many religious men and women, and the monastic orders. Lay persons in recent times have become more involved with praying “the Hours”. The majority of the prayers in the Hours come from the Psalms. Jesus prayed the very Psalms that we now repeat. Mary most likely taught him the Psalms. Jesus quoted the psalms in his preaching and teaching. He recited them at key moments in his life to explain the meaning of his life experience. After the resurrection, the first Christians easily recognized the person of Jesus reflected in these Old Testament prayers. You are invited to participate and pray these deeply moving reflections of humanity reaching out to our God. Perhaps you can make this an Advent prayer to deepen our faith this year. 10:00AM, Worship Center, 96 Green Avenue(downstairs classroom). Call Jean Washko 856-845-6944 or Sue Krause 609-707-2188 to make a reservation. Cost is $20. ​CALL EARLY, SUPPLIES NEED TO BE ORDERED. Spaghetti with Meatballs or Sausage (Hot & Sweet) Spaghetti With Clams, White Sauce, Caeser Salad, Stromboli, Roll & Butter Coffee / Decaf / Tea / Soda Homemade Desserts . In Wonderful Parish Holiday Tradition! Holy Angels Choir presents its annual program of Sacred Music and Scripture Readings of Advent and Christmas in the Church. many favorite carols. All are welcome-----free admission!